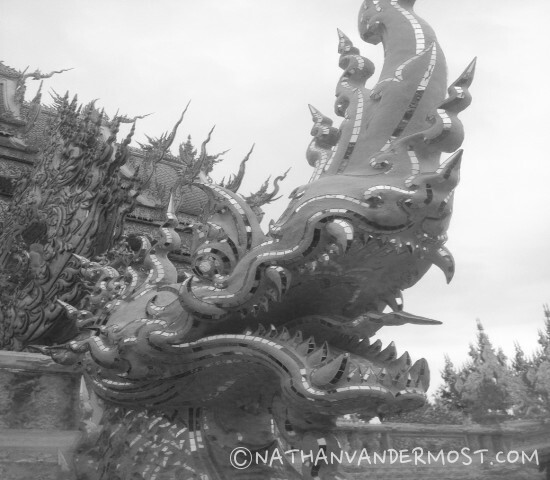 I have lived in Chiang Mai, Thailand for 9 months and since living here have heard about the Wat Rong Khun in Chiang Rai. 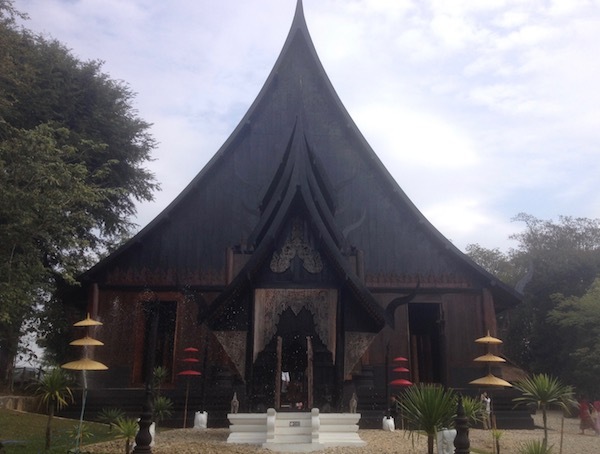 It is located 3 hours north of here in Chiang Rai, Thailand. 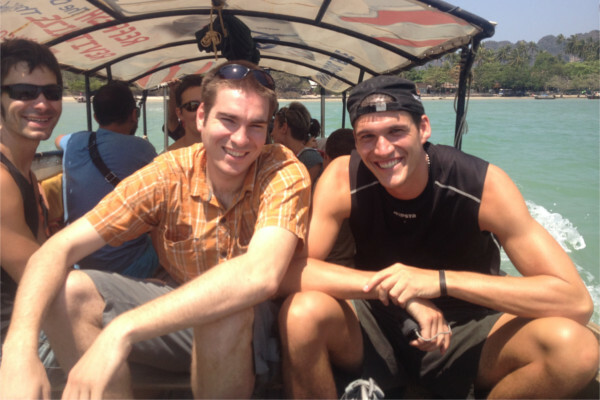 I went on a trip to Chiang Rai several weeks back and wrote about it in the post titled, Things To Do In Chiang Rai. 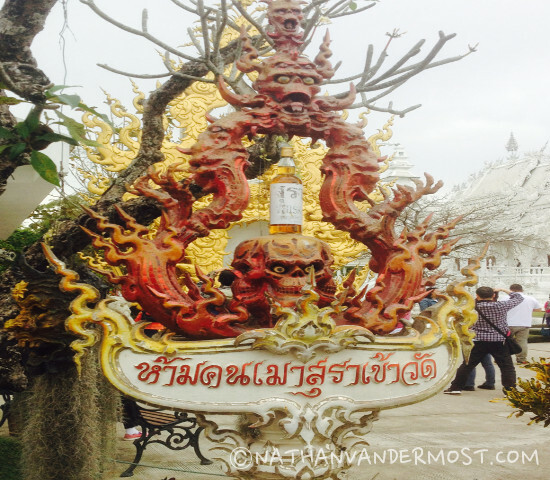 During that trip I was able to visit Baan Dam in the morning and then travel to Wat Rong Khun in the afternoon. I rode a motorbike that I had rented to get to both places. 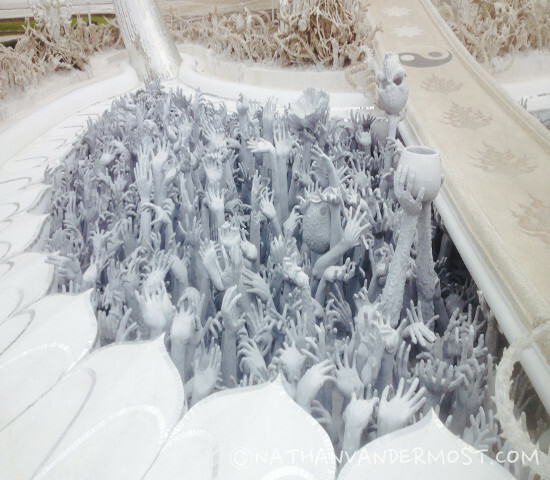 Wat Rong Khun is located about 30K south of Chiang Rai proper. It is very easy to get to if you are traveling via motorcycle. You can get there by taking the highway south and then make a right off the highway. The temple is within view once you turn-off the highway. There are signs in English and its location is very well documented. 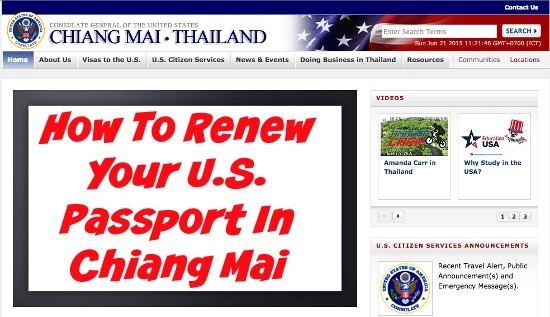 It is a popular destination for tourists and Thais. The road beside the temple is congested with traffic and tour buses. Riding the motorcycle was advantageous as we were able to park next to the temple very easily. There are many food stalls and crafts being sold next to the temple which is fun to look at. The temple does not have an entrance fee which is nice but the temple was very crowded when I was there. It is a Buddhist temple and has religious significance which is hopefully very obvious if you go there. It is also important to be respectful and adhere to posted signage. 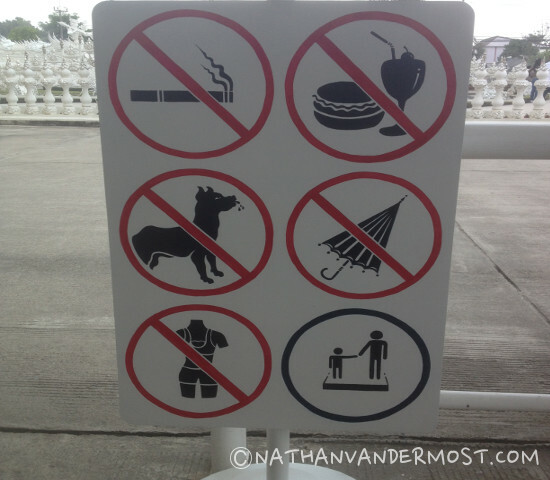 For example, you cannot bring food or drink inside or near the temple. You need to be properly dressed by covering your shoulders and wearing shorts down to your knees. Based on the sign below, it was not clear why you cannot have an umbrella. The history of Wat Rong Khun is very impressive. By the end of the 20th century the temple was in need of serious renovation. 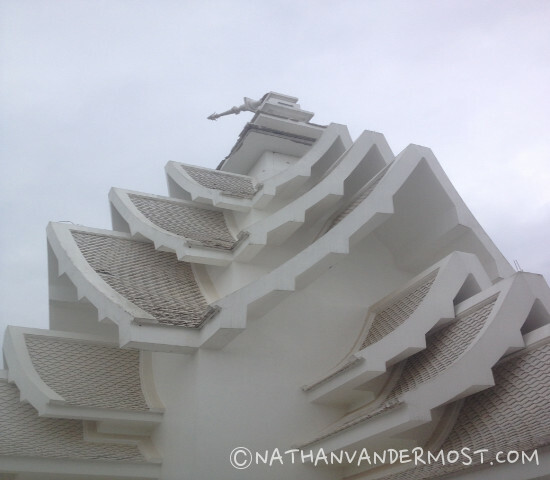 Fortunately, a local artist in Chiang Rai decided to rebuild the temple with his own time and money. More information on the history can be found here. Last year (2014) there was a big earthquake that rattled northern Thailand. This earthquake also did significant damage to the temple which was still evident when I visited. Learn more about the earthquake in this article by the bangkok post. 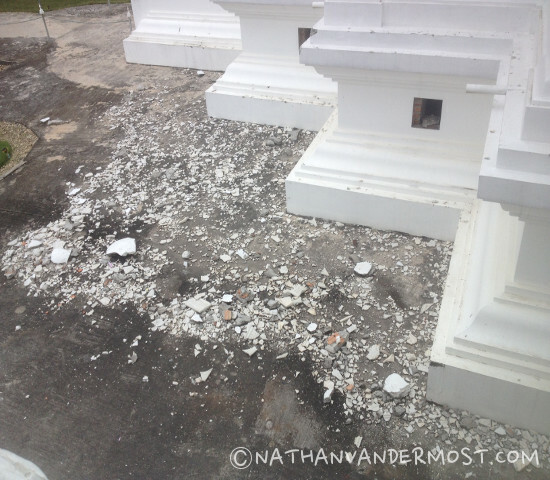 I was really surprised that there had been limited clean-up and repairs of the temple. 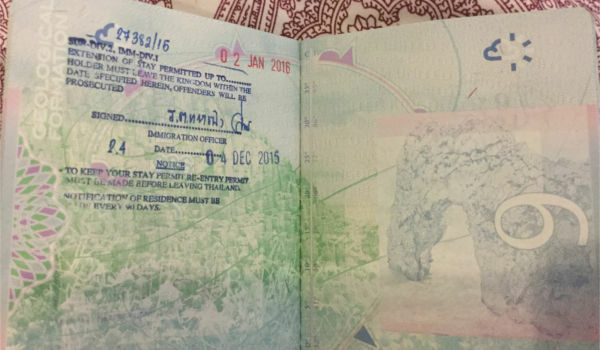 Based on the number of people that were visiting that day; if they charged a 20 Baht or 0.66USD entrance fee, they could have a new temple built by the end of the month. Although the temple is damaged in certain areas, it is still very impressive and worth a visit. It features hand built architecture, dragons and other stunning details. 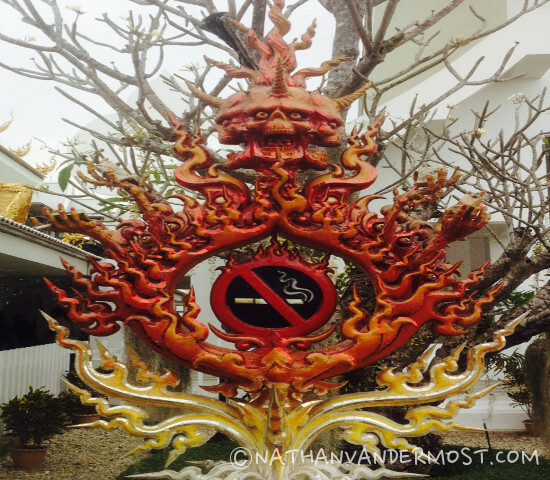 There were some statues outside of the temple that were interesting to look at, demonizing smoking and drinking.